Of course I’m not, but surely others are. 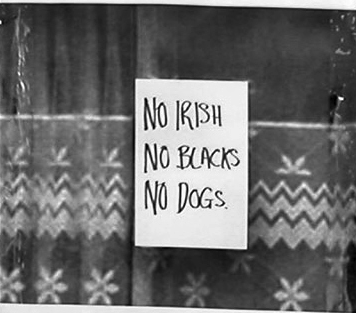 Hang on, if the “other” is me twenty years ago – were the attitudes I had back then bigoted? (hmm, no comment). Or twenty years hence, will I look back at my perspectives today, and think how regressive they were?! When Gandhi was fighting for the rights of Indians in South Africa he wrote how Indians are “undoubtedly infinitely superior to the Kaffirs [native blacks]”. Winston Churchill spoke about Jews who were not integrated into the societies they lived in. He wrote about the “schemes of the International Jews”, their “sinister confederacy” and their “worldwide conspiracy for the overthrow of civilization”. He didn’t just view Jews such negatively, but also the Chinese. He thought as they “become more powerful they will get more ruthless”. To avert this he believed “in the ultimate partition of China” and “the Aryan stock is bound to triumph.”. Previous Previous post: India’s Hidden Gem…Bhopal!